The Standard Group and BBC News are joining forces for a brand new current affairs programme due to launch on KTN news in 2019. The live studio based show will focus on strong reporting, interviews and features with original storytelling and audience interaction via social media. 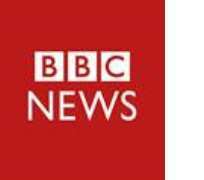 Made by BBC News and KTN News, the new weekly programme will become essential viewing in Kenya and beyond. The co-production will bring analysis, hard-hitting interviews and discussion about the issues that matter to Kenyans - and draw on the full newsgathering strength of the BBC in Africa and around the world. KTN News is a 24 hour news channel providing local and East African news in Kenya. Launched in July 2015, KTN News has quickly established itself as the channel of choice for breaking news, live coverage and non-stop current affairs programs from Kenya, across Africa and the world. Produced at KTN’s studios in Nairobi, the programme will maintain the high standards of journalism and production that audiences around the world expect.